Evolution Gaming Group AB, a live casino operator and games creator, has announced their signing of an agreement that will see them provide the Shangri La Casino Tbilisi with a series of Dual-Play Roulette tables. The casino is situated in the nation of Georgia, and the Shangri La Casino Tbilisi is one of the most popular in the nation. The Stockholm company told reporters that the deal for the Roulette tables will have them set on the first floor of the casino, which will be alongside the venue’s other games, such as poker, blackjack, and punto blanco tables. 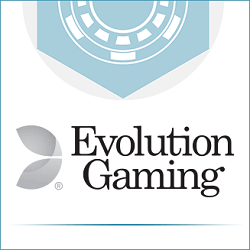 Evolution has also stated that their Dual-Play Roulette tables have premiered at a number of prominent casinos around the world. This includes the Grand Casino Bucharest, The Victoria, the London-based Grosvenor casino, The Hippodrome Casino, as well as the Ritz Club Casino. The tables are designed to bring land-based and online casino together by allowing players to use their smart devices to remotely play against other players that are at the mentioned venues. Their plans for the future include having live feeds set up for the tables, which is part of their agreement with Shangri La Casino Tbilisi, which will be similar to the other systems in place at the other casinos. This will allow players not only to take part in the games, but also to watch them in real-time via the Internet, with the company offering players a constant, live gaming experience.